Excellence in innovation, service and product quality has been constantly recognised by theirr customers and are tried, tested and trusted by major organisations. With over 500,000 square foot of manufacturing and warehousing space, Bemodern employ the same meticulous eye for detail and the highest standards of manufacture throughout. 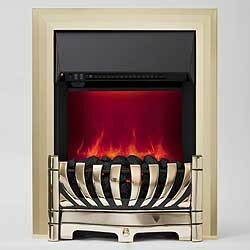 In December 2008 Be Modern was awarded with ‘Eco Product of the Year’ for its flueless gas range of fires – further demonstrating its commitment to the environment. Continually building on 40 years of experience, Be Modern Group is one of the leading manufacturers of fires and fireplaces and Bathroom furniture in the UK. Our market share, product range and quality of service set the standards that others follow. 1963 – Business started as Modern Trends manufacturing Fire Surrounds in Hendon, Sunderland from a 5000sq.ft factory. 1964 – Business incorporated as Be Modern Limited and moves to larger premises in Nile Street, South Shields. 1970 – Continued expansion leads to purpose built premises in Western Approach, South Shields (the current Group Office). 1974 - Be Modern starts to manufacture kitchen furniture from additional premises in Jarrow (later extended to include bathroom vanity and fitted bedroom furniture). 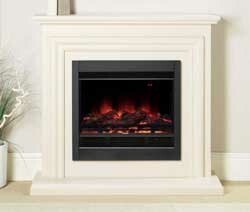 1996 – Be Modern acquires Period Surrounds in Glasgow manufacturing Marble & Stone fireplaces. 2006 – Design and product rights of Elgin & Hall acquired by Be Modern – manufacturing hand painted, individually crafted Fire Surrounds. With over 500,000 square feet of manufacturing and warehousing space, Be Modern continues to deliver high quality product to meet the needs of an extremely diverse range of customers. 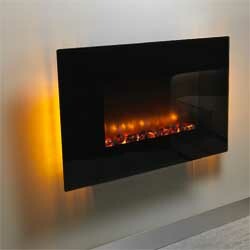 Offering incredibly popular fires such as the Bemodern Orlando in Flat or Curved.